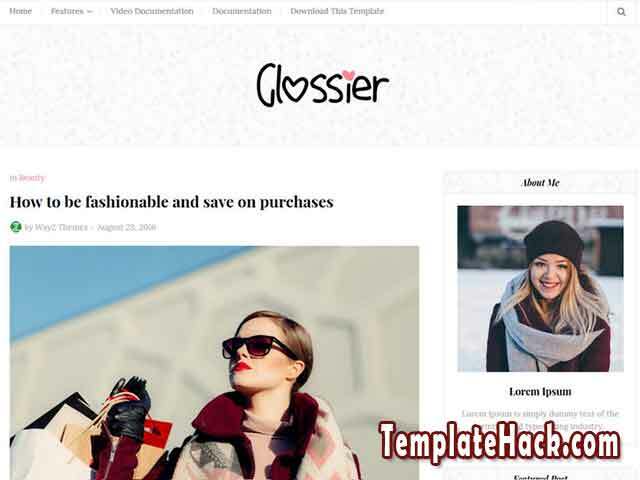 TemplateHack.com - Download Glossier premium blogger template. Glossier is very simple blogger templates designed for personal blog like travel, recipes, make up tutorial, sport, travelling, movies, OOTD, and many more. This is girly blogger templates designed with minimalist color, just black and white. Because of designed with simple color, this blogger com templates can load quickly. This blogger templates also have search engine optimized to improve your traffic from Google search engine. This customizable blogger templates designed with minimalis dropdown menu. Just like another way to show yours! I think it is higly recommended blogger templates for your personal blog. So, you must download premium blogger templates for free!